Due to the fact that new Quartz Composer accesses the iSight using the shared iSight features of Leopard, using CamCamX with QuartzComposer requires an additional step (shown at right). Basically, you need to locate the video input "patch" inside the .QTZ composition, and then select the CamCamX camera as the source input. We're trying out some new QC Leopard stuff and it works great. Today we released a new mini-driver for Leopard that allows DotMatrix and CamCamX to open the Built-in iSight in Leopard's new "Shared Mode". This will allow both CamCamX and DotMatrix to run at the same time as PhotoBooth. We call this little driver CamCamX5 and it is available as free download. This driver will also allow Yahoo! 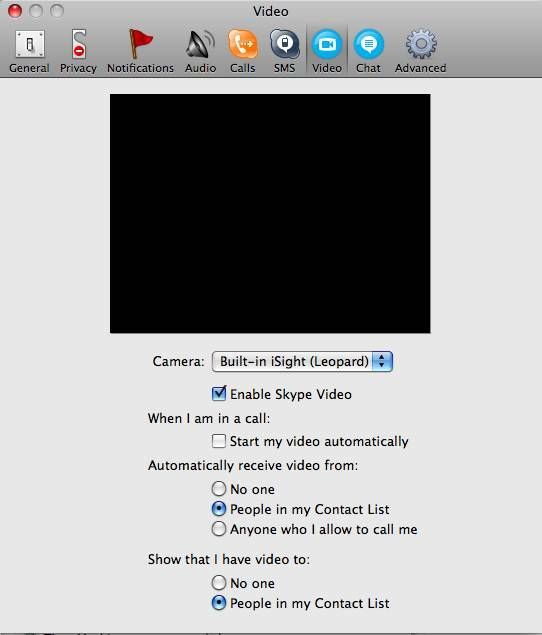 Messenger, Skype and iMovie HD (all applications which support CamCamX) to open the iSight in shared mode under Leopard. 1. Start up CamCamX normally. 2. Under the "A" menu (Camera A), choose "No Camera". 3. Now start the other Camera application (ie. QuickTime Pro). 4. 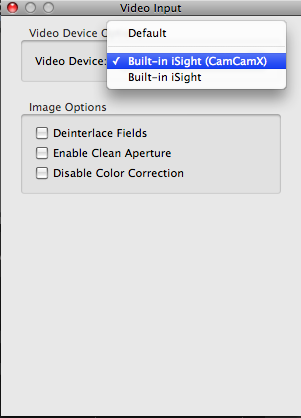 Now both the iSight (CamCamX) and Built-in iSight input should be visible in the Leopard App. 5. 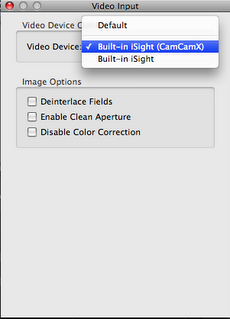 Choose iSight (CamCamX) as the input in the Leopard App. 6. Now, bring the CamCamX application to the foreground. 7. Under the "A" menu, choose "Built-in iSight". This method works with all the Apple applications we've tested except for PhotoBooth and QuartzComposer.